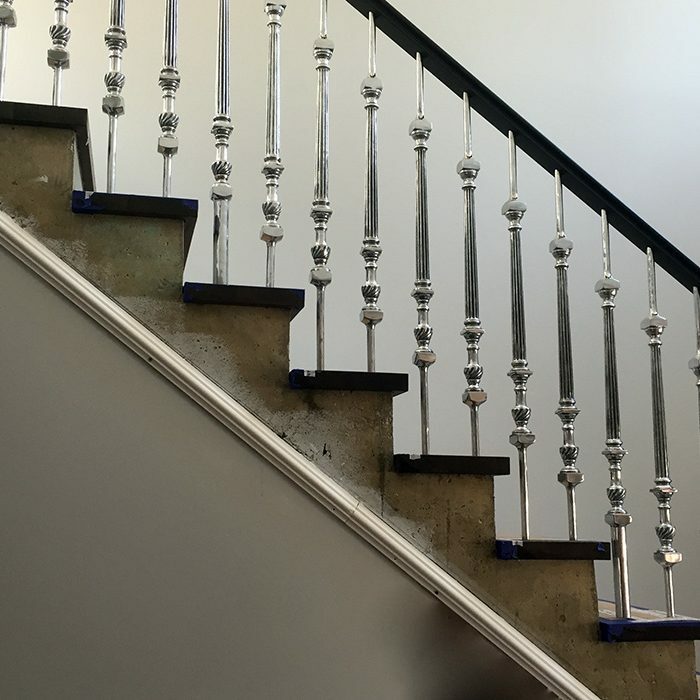 Our made-to-order balustrades turn staircases into work of art that you can fit yourself. Beautiful sculpted abstract interpretations of nature. A simple modern approach to balustrades. Our range of revived vintage & antique balustrades.. 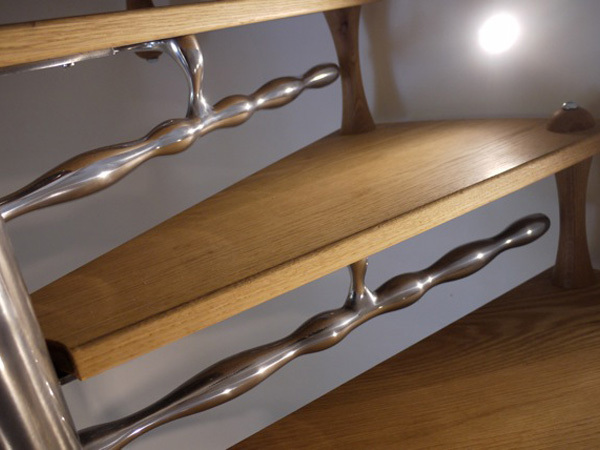 Stunning sculptural shapes made into balustrading. Easy to install DIY balustrade system. 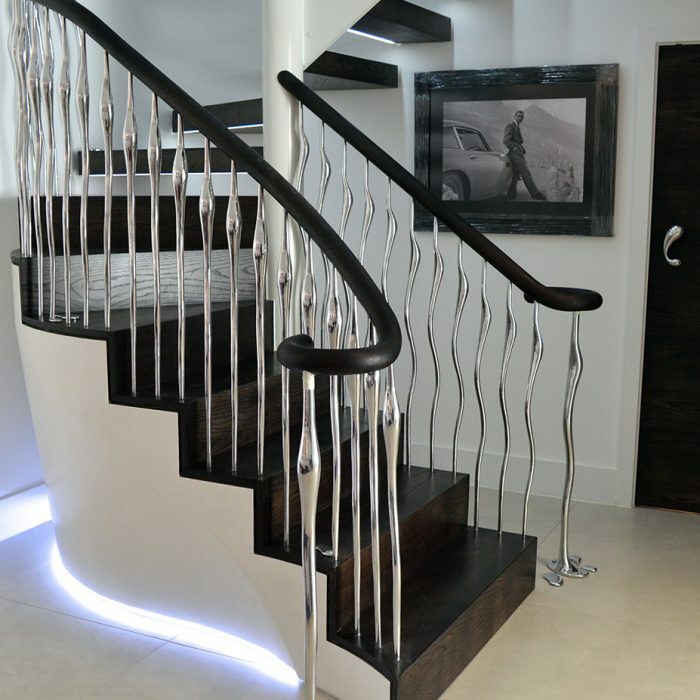 Fancy upgrading your own staircase with a luxurious designer balustrade - well now you can. Our collections of spindles will suit all types of property, browse our portfolio or place your order online. 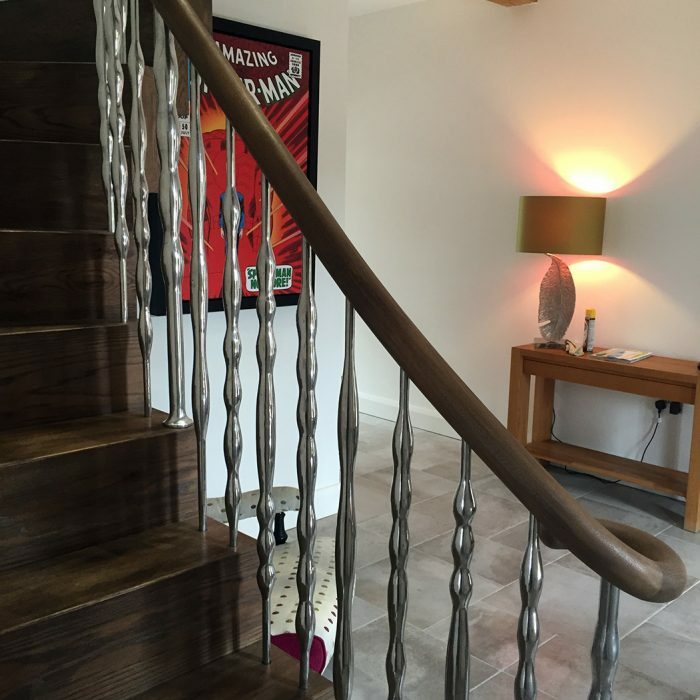 Our made-to-order and modular approach to spindles means we have made owning a designer balustrade in your own home more achievable. 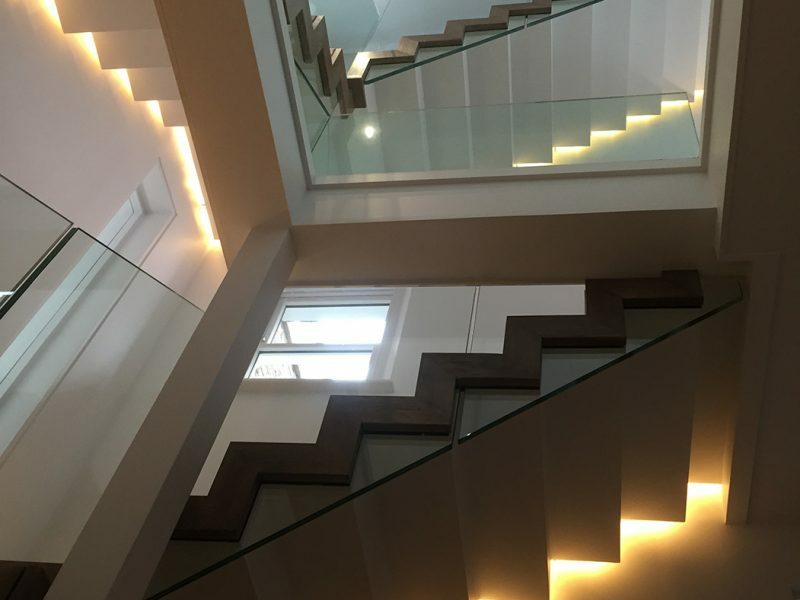 Our creative balustrading for stairs and galleries are beautifully unique, designed to make a stunning feature of stairs and galleries, beauty and utility combined. 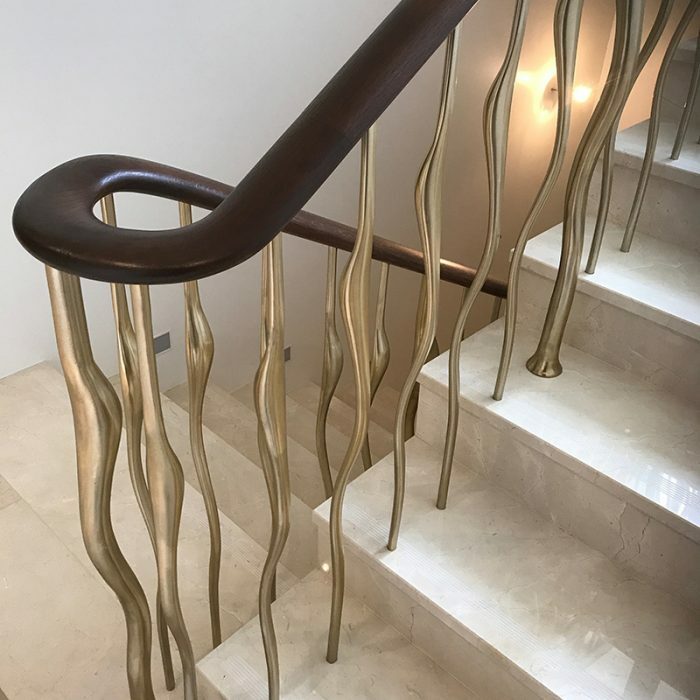 Hand cast in solid semi-precious metals including aluminium, bronze and brass, our decorative sculptural balustrades offer a solution never seen before to adorn staircases and galleries old or new. 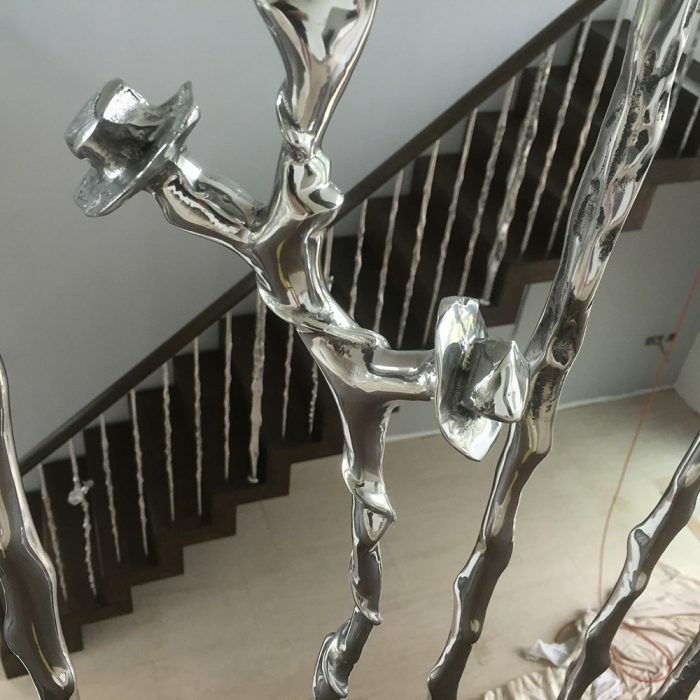 Our designs are being added to all the time or we can work with our clients to create their own unique ‘one of a kind’ balustrade design. "Balustrading is a must by law, so why not make them utterly beautiful?" 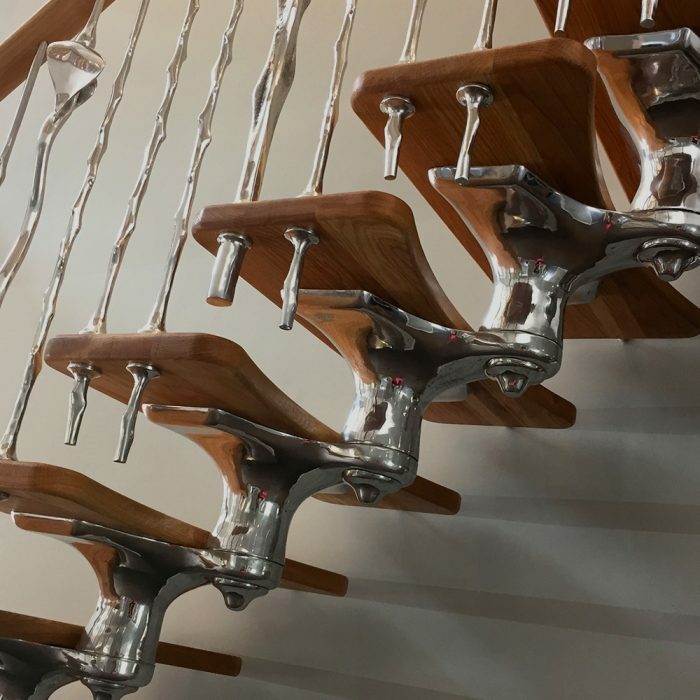 More than traditional banisters our sculptural designs of spindles and handrails range from real cast tree branches to antlers to immaculately detailed antique reproductions with a twist. 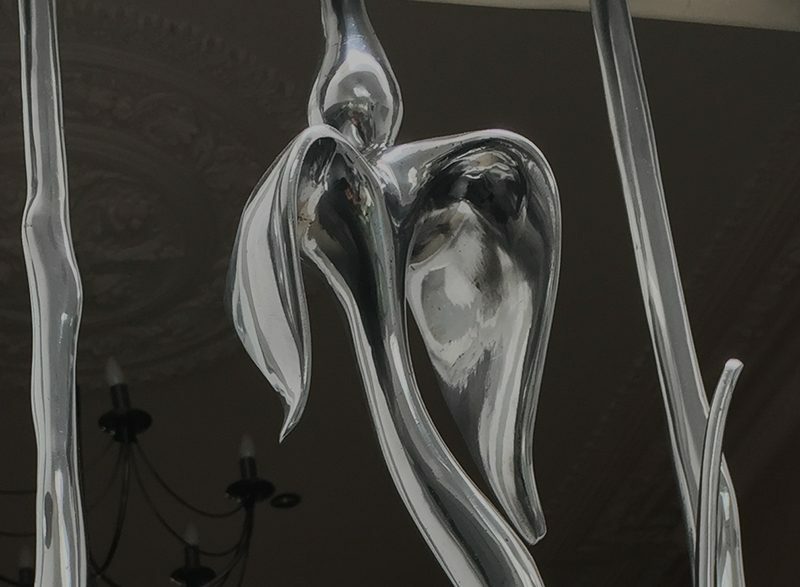 We offer a variety of finishes including bright polish, satin, stove enamel to match any colour, copper and nickel plate, we have even been asked to plate our balustrade designs in rose gold. Our ranges are being added to all the time, so keep a look out here for more of our quirky and eccentric creations. Zigzag's Sculptural Balustrades Awarded GOLD at the 2016 New York Design Awards and Platinum 2016 Design Journal ADEX Awards.